22.10.14 10:43	Transfer	Sent Payment: 200.00 USD to account U7415144 from U17755**. Batch: 71663070. Memo: Shopping Cart Payment. Invoice 471, Knjaz. Memo : Shopping Cart Payment. Invoice 475, paramon-club.com. 10.22.14 12:34	Account	Receive	+5.00	Received Payment 5.00 USD from account U7415144 to account U1775***. Batch: 71671802. Memo: API Payment. Invoice 495, Knjaz. 10.22.14 13:40	Account	Receive	+2.64	Received Payment 2.64 USD from account U7415144 to account U17755**. Batch: 71677518. Memo: API Payment. Invoice 538, Knjaz. 10.22.14 14:03	Account	Receive	+23.64	Received Payment 23.64 USD from account U7415144 to account U1775***. Batch: 71679327. Memo: API Payment. Invoice 556, Knjaz. 10.22.14 13:40	Account	Receive	+2.64	Received Payment 2.64 USD from account U7415144 to account U1775**. Batch: 71677518. Memo: API Payment. Invoice 538, Knjaz. 10.22.14 14:34	Account	Receive	+47.15	Received Payment 47.15 USD from account U7415144 to account U1775**. Batch: 71681732. Memo: API Payment. Invoice 580, Knjaz. 10.22.14 15:24	Account	Receive	+11.89	Received Payment 11.89 USD from account U7415144 to account U1775***. Batch: 71685791. Memo: API Payment. Invoice 628, Knjaz. Memo : Shopping Cart Payment. Invoice 655, Newhyip. Memo : API Payment. Invoice 761, Newhyip. Memo : API Payment. 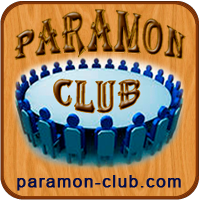 Invoice 851, paramon-club.com. Memo : API Payment. Invoice 1038, paramon-club.com. Memo : Shopping Cart Payment. Invoice 1046, hyipcruiser. Memo : Shopping Cart Payment. Invoice 1065, richinvestmonitor.